A street vendor dressed in Summer clothes cuts fish in front of an entrance while a customer watches. 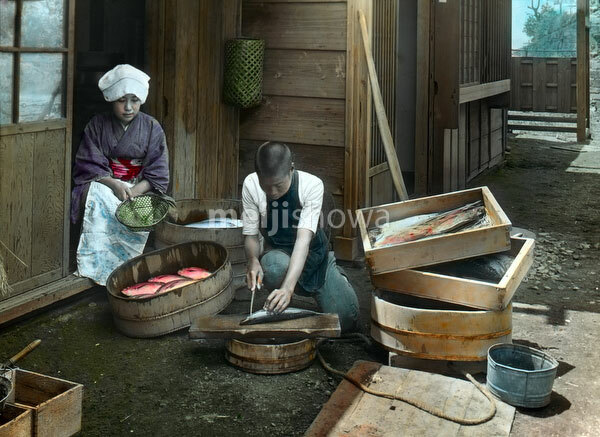 Japanese streets used to be full of vendors peddling everything from food to baskets to medicine. Early 20th century.